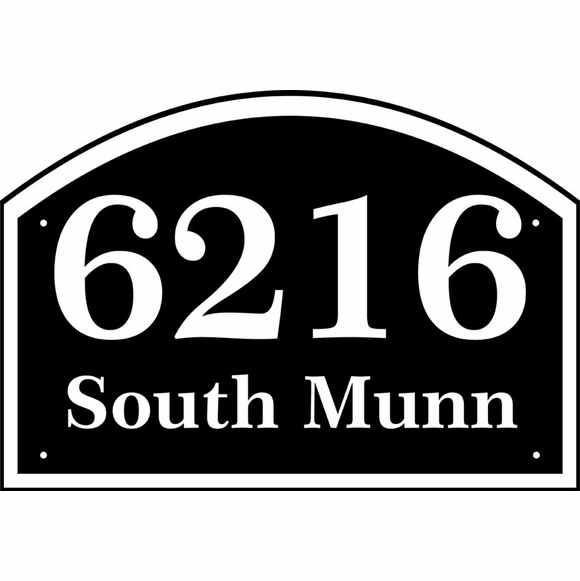 Personalized Two Line Arch Address Sign - - custom made gracefully curved arch shape house number sign. Made in the USA. Line 1 holds either five (5) 3" characters or four (4) 4" characters. Line 2 holds ten (10) 1.5" characters. Border is the same color as the personalization and accentuates the full arch design. Comes with four 3/16" diameter fastener holes and mounting screws.